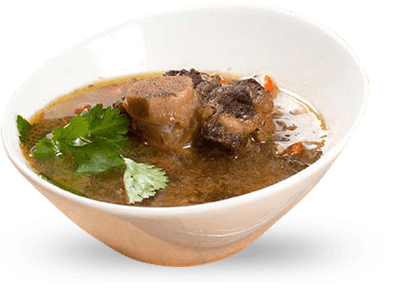 In an effort to gain the most accurate insight into how Bone broths may benefit people concerned with their bone density, we decided to simply look at the research. While many physicians and natural practitioners have touted the benefits of bone broth for countless ailments, it is always important to try and find good quality peer-reviewed research to help support what so many already “know.” Luckily, as our baby boomers are getting to the age where joint health, degeneration, bone density, and other similar concerns are coming up more often, researchers are now taking a closer look. The one revelation about bone broths that often surprises people is that there is rarely any significant mineral content. Minerals like Calcium are often in very low levels in bone broths, which seems odd considering the bones from which all the minerals and nutrients are being pulled are full of them! Studies have confirmed that it isn’t the minerals pulled from the bones that actually create value when considering the effects on bone density, but rather, the collagen protein that is extracted. Collagen Proteins, the most abundant proteins in our bodies, are the ones that make up the “lattice work” or scaffolding of bones. They create the matrix on to which the bone minerals are deposited. As a result, collagen is essentially the most important component that makes up our bones (and almost every other tissue in our body for that matter!). It is collagen protein that creates the pliability or elasticity of our soft tissues, our skin, and our bones. As we age, collagen naturally breaks down leading to decreased elasticity, “drying” of tissues, and a weakening or thinning of our bones. The most obvious sign of collagen break-down is wrinkles in the skin! Different recommendations regarding weight-bearing exercise. The reality is that treatment and prevention of bone density issues is complicated, and the approach may be different for every patient. For some, having adequate calcium available is the problem, for others, it has nothing to do with Calcium at all. One constant however, is the necessity for a solid platform onto which bone can be built. It is important, like building a house out of wood, that the frame or the base of that structure is solid before anything can be added properly. Collagen protein is the framework of our bones, and the following shows its potential benefit for people concerned about bone density. Currently, three sources have shown the connection between collagen and bone density. Dr. Milan Adam at the Institute of Rheumatism research in Prague did a study on patients with osteoporosis in which half the participants were given calcium supplementation, and half were given collagen hydrolysate. His results, published in 1991, revealed that the patients being supplemented with collagen showed a decreased loss of collagen over time, decreased bones loss over time, and a significantly decreased risk for future bone fractures. In a follow-up study published in 1996 he found that collagen hydrolysate enhanced and prolonged the effects of calcitonin which, in the body, plays a key role in lowering blood calcium. The result was generalized improvement of bone metabolism. The third source of support for collagen was reported by Dr. Roland Moskowitz of Case Western University in 2000. In his lectures, he reported that collagen supplementation showed promising results for treatment of bone density issues and osteoarthritis. He suggested as well that because of the relative safety of collagen supplementation, it warranted increased consideration and usage over long term treatment of these chronic conditions. While more research is always needed, a great argument for usage of collagen has been put forward. Hopefully future studies will continue to show the value of building and preserving bone with an approach that considers all the factors that contribute to a strong framework, availability of minerals, addition of vitamins, and the application of exercise. The reality is that for centuries humans were able to gain the majority of our nutrition from our food. Times have changed, and we are always looking for an easier solution to what ails us, but we cannot fully escape the reality that it is our diet that will heal us. Choosing an option that is not only natural and unprocessed is great, but it becomes even greater when that option happens to also taste delicious! At Boned, A Broth Company, we have created a product that delivers very high levels of Collagen protein (57 grams in a 500 mL container! ), amino acids, Chondroitin Sulfate, and even glucosamine. The goal was to deliver the nutrients we are all looking for in a form that was easy to drink, easy to use, and truly delicious. We think we have succeeded! Thanks for the information Christian. I am wondering what the fat content of the beef broth is and what type of fats it contains.